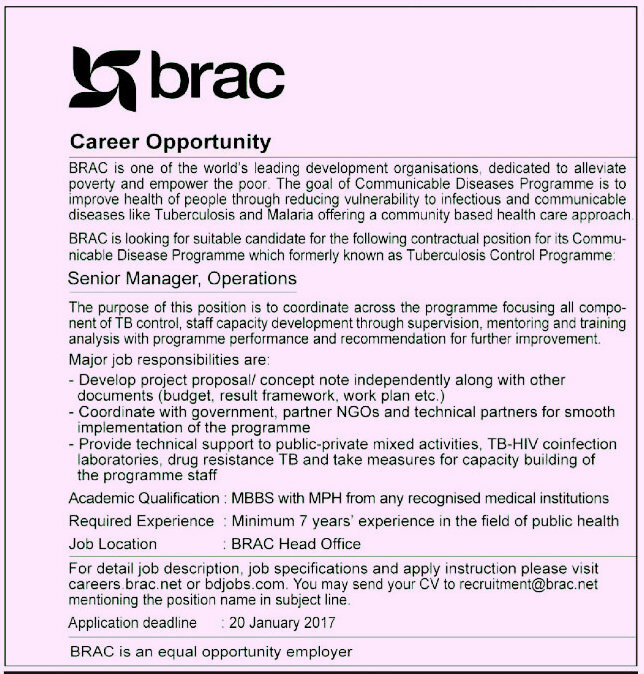 BRAC is a well known organization in Bangladesh. Now a days this is an leading organization globaly. 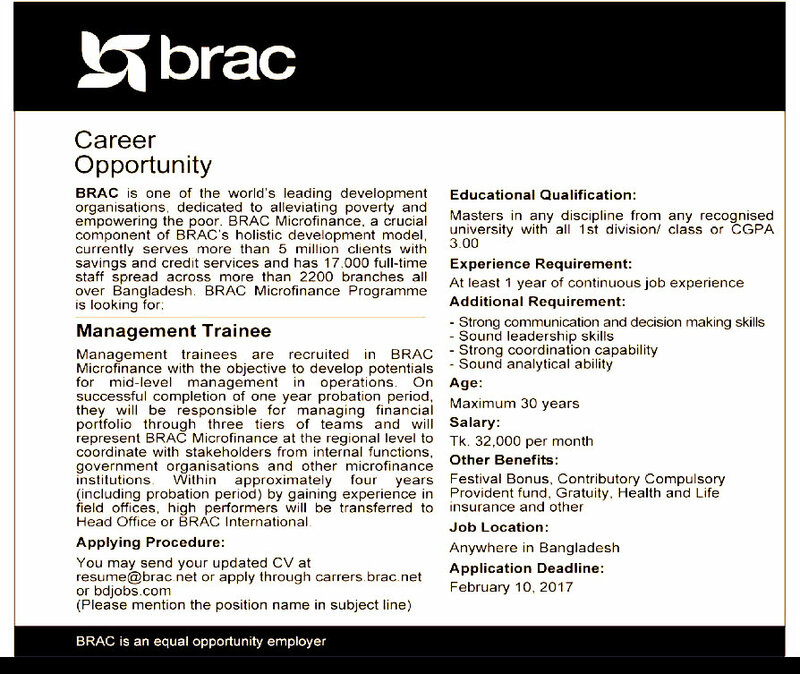 BRAC now operationg in 10 countries worldwide and day by day it is creating opportunity for poor people. 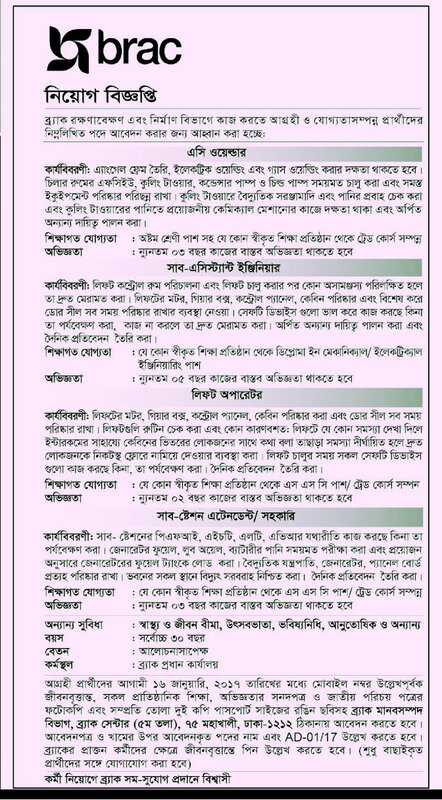 Only Bangladeshi candidates can apply for this post. Candidates should have qualification in Masters in any discipline from any recognized university. 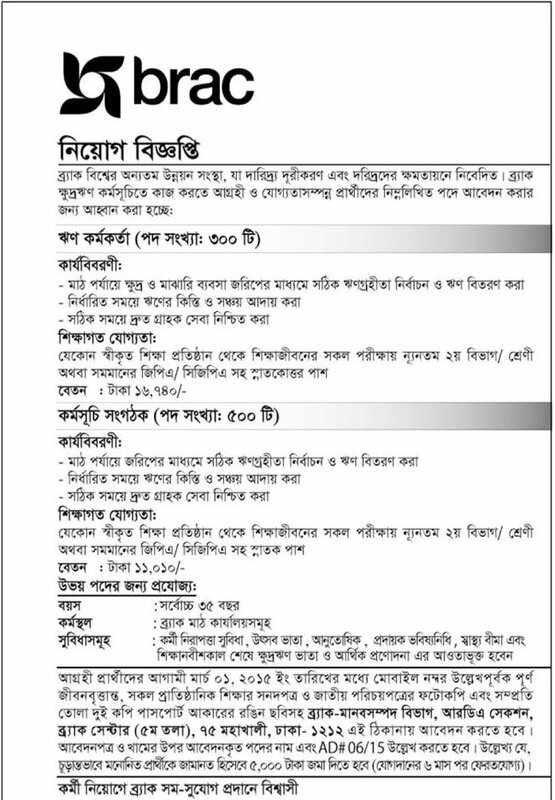 Available job in Bangladesh Brac. 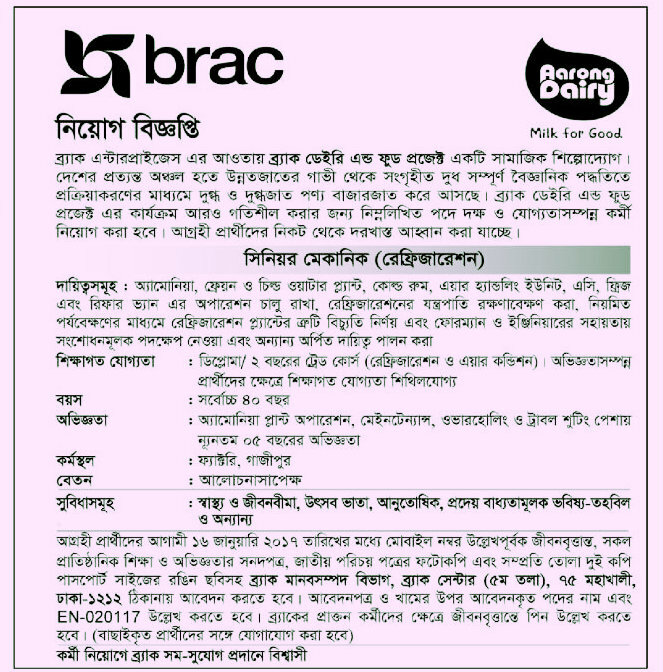 Brac has been published a job circular for the post of Management Trainee. 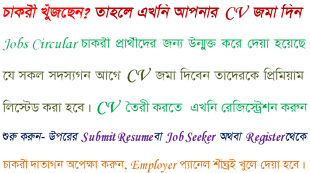 Job location is anywhere in Bangladesh. Candidates age limit is 30 years. There are many facilities for both positions such as: Festival Bonus, Contributory Compulsory Provident Fund, Gratuity, Health Insurance, Staff Security Benefit and other facilities. Interested candidates can apply for the posts within February 10, 2017. See circular given below as an attached file.